The Bush Hotel offers guests a Two Hundred year tradition of comfort. The Hotel started life as an accommodation Inn for weary travellers and their horses on the coach journey between Dublin and Sligo. Today that strong tradition of inn keeping and comfort is continued. Please note the Hotel does not accept American Express as a method of payment. We are on the main street of Carrick on Shannon opposite St Mary's Church. 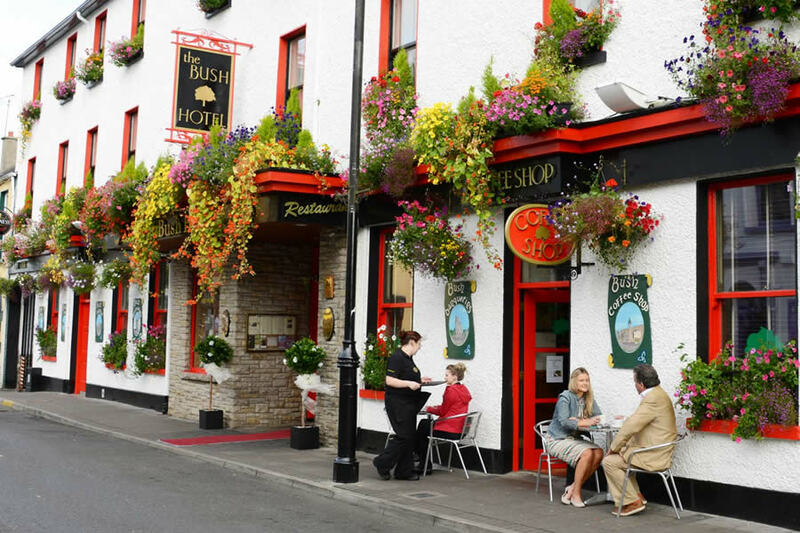 Close to all wonderful amenities Carrick on Shannon has to offer including restaurants, bars, galleries, coffee shops, leisure facility, local crafts and shopping. The Hotel is also located on main street, set on gardens to the rear with secure parking. We are just a two minute walk to the River Shannon and the bustling marinas. Friendly ,clean ,warm , quiet, good food . Lovely friendly and warm atmosphere. Large comfortable room. Fabulous meals. The hotel`s crowning glory is it`s wonderful, friendly and charming staff. We will be returning. One of the nicest hotels I have ever stayed in. Receptionists more than helpful. Rooms beautiful and food was wonderful. Sorry our stay was for just one night. 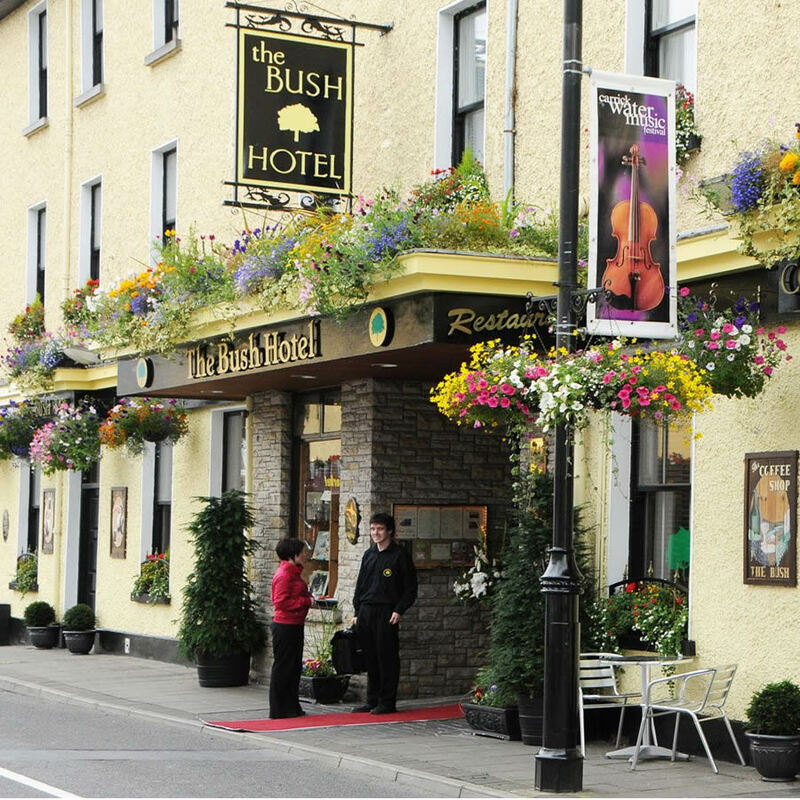 We enjoyed our stay in the Bush Hotel, Carrick on Shannon. the hotel was nice, centrally located and we found the staff to be very friendly and helpfull. We were delighted with our room which was bigger than usual and we found the food very good. the cost of the break for three nights B&B was very reasonable and we also enjoyed the evening meals we had in the Bistro. Very pleasant stay with welcoming staff. Stayed here Oct 1st and thought it was excellent .From the moment we arrived the receptionist Dee made us so welcome and gave us a list of all the places of local interest to visit which was really helpful. Breakfast was freshly cooked and delicious and the staff where very helpful and friendly. This is a true gem. Great!!!!! Food. Even the hungriest traveller will find themselves full after dinner at the Bush. Staff lovely and always ready to help. This is an oldie world hotel in many ways and you should expect soem small issues but nothing serious. Keep an open traveller's mind and you will be delighted with the experience. One note though is the hotel management are pushing it a tad with some prices when weddings/hen/stag parties are in town. €119 pp/pn sharing is #way# too much for this hotel and it will bite them in the behind if they don't wise up. They can shout 'green' all they want but this does not equal more expensive in the mind of the average hotel guest. Very enjoyable break ,lovely comfortable room and the staff could'nt have been more friendly and helpful. 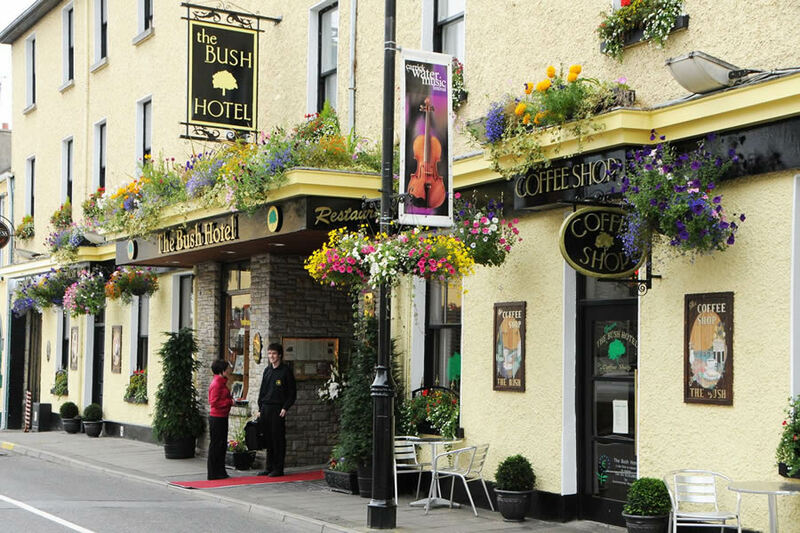 Stayed one night in the Bush Hotel in Carrick on Shannon. It is very central and the staff are really friendly. We had a great nights sleep and great breakfast. While it is an old style hotel it is very comfortable and clean.